It is a decades-old story of unity that Varsitynewspaper tells. 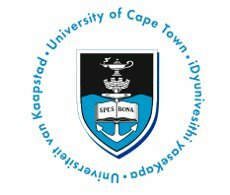 In 1942, tensions between English and Afrikaans UCT students were palpable, moving the then-SRC to merge the English UCTattle and Afrikaans Die Spantou. Since then, UCT’s official student-run newspaper has published 12 editions each year and celebrated its 72nd birthday in April. Readers look forward to the paper’s wit and political commentary every fortnight, but this wasn’t always the order of the day. 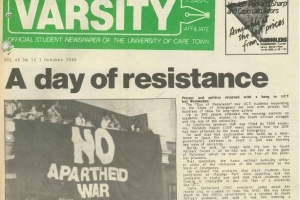 Varsity was originally run by the SRC, and the paper’s first Constitution forbade any commentary on politics at UCT. The cover of Varsity newspaper dated 1 October 1986. Varsity remains committed to reporting “fairly and accurately on current affairs, opinions, features and sport”, says editor-in-chief Laurie Scarborough. “In particular we like to focus on campus news and events as well as student opinion, as we are the leading student-run publication for UCT,” says Scarborough. “We aim to develop students who are interested in media by helping them to improve their writing and editing skills, as well as reporting and interview techniques.